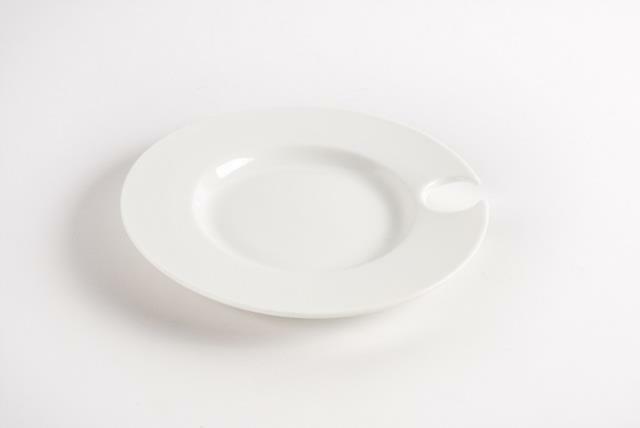 This white plate is great for hors d'oeuvres and wine. 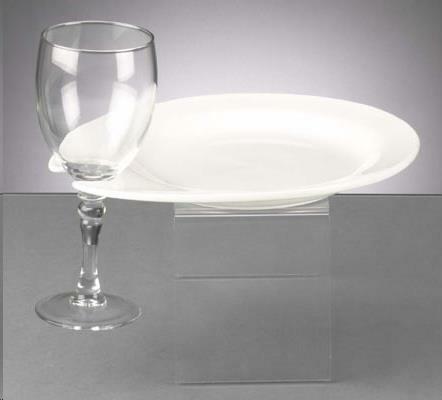 It has a nook to rest your glass. * Please call us with any questions about our party plate 8in rentals in Columbia and Jefferson City MO.